As a result, the need for all employees to have transferrable enterprise skills, digital literacy and STEM related knowledge, understandings and skills is more significant now than ever before. STEM education, I believe, is the merging and mingling of the learning areas of Science, Technology, Engineering, and Mathematics whilst developing students’ enterprise skills through a ‘real world pedagogy’ that mirrors how we learn and work beyond school. STEM education taught effectively will inspire young people to dream big, chase their dreams and work towards creating the kind of world that they would like to live in. Schools are at a time where they desperately need to be future focused in their curriculum and pedagogies so that young people are learning and developing these transferable schools for their transition into the workforce. STEM education as a government priority provides schools with the impetus to transform. 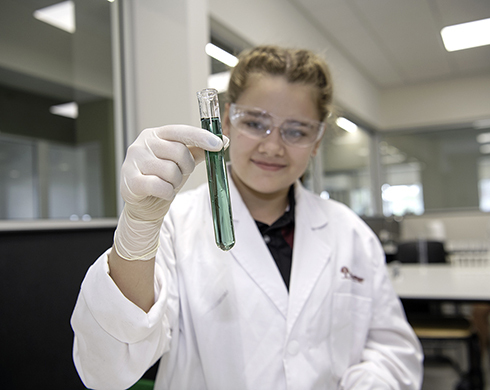 Currently, there are many and varied opportunities for students to experience STEM in schools, however many still lack what is core in STEM education and that is; real world STEM learning experiences; choice and ownership of learning; and opportunities to learn and connect with others outside of the classroom, such as industry partners. STEM education is also about a way of thinking and exposing young people to the many skills required to be able to inquire into problems, define a problem and design solutions, in real world contexts. The real world is not made of silos of knowledge, understanding and skills; it is interdisciplinary in nature and therefore our ‘real world pedagogy’ in STEM learning needs to reflect this through project based learning. STEM education is important for our schools to spur them on in their efforts to transform learning by creating fun, engaging, meaningful, real world STEM learning experiences that will help our young people become innovators, critical and creative thinkers, technologists, problem solvers, collaborators, and skilled in seeking and applying relevant knowledge, understandings and skills for any purpose. As educators we must be mindful though that we don’t miss the point with what STEM education really is.